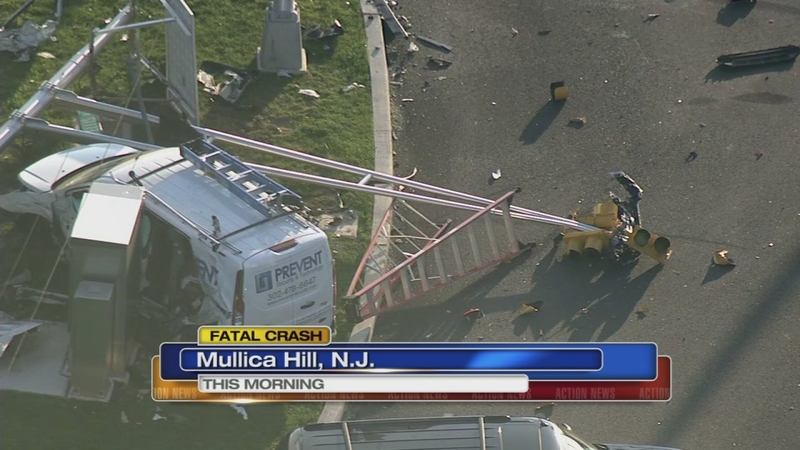 MULLICA HILL, N.J. (WPVI) -- A person was ejected from a vehicle and killed in Mullica Hill, New Jersey on Monday morning. It happened at Ellis and Richwood roads around 6 a.m.
Police say the driver of a Ford Transit van disregarded a stop sign and flashing red light and went into the intersection, hitting a Ford F-150. The 58-year-old male driver of the van, who is from Pennsauken, was killed. The driver of the pickup truck was taken to the hospital with minor injuries.